Welcome to CBA of Kansas! 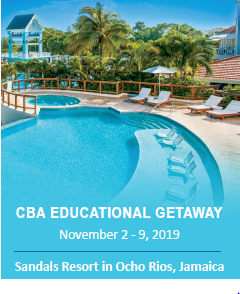 Mark your calendar for CBA’s 41st Convention and Trade Show! Click here to learn more about this Annual Event! July 10-12, 2019. CBA Golf Classic is May 29! Register Today! 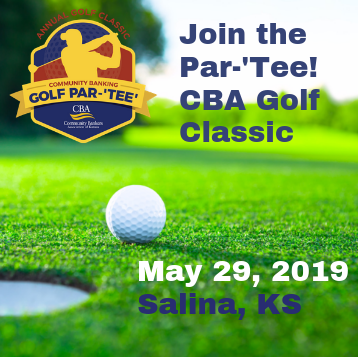 Please plan to join Rodger Van Loenen, CBA Chairman, for the annual Golf Classic in Salina, KS. Read more on the Events page. Membership in CBA of Kansas truly strengthens your bank, ensuring that you can keep serving your community as only a local bank can. From access to educational and training resources to networking and collaboration events, you’ll be certain that you’re engaging in the best practices of leading community banks in the state. CBA of Kansas offers advocacy on issues affecting community banks at both the state level and national level. CBA of Kansas offers a new compliance tool that helps community banks save time, money and valuable team resources as they gain the peace of mind of doing what they do best each day — knowing they are in full compliance with regulations. CBA of Kansas offers education and training in the form of printed materials and webinars, helping community banks be more profitable. 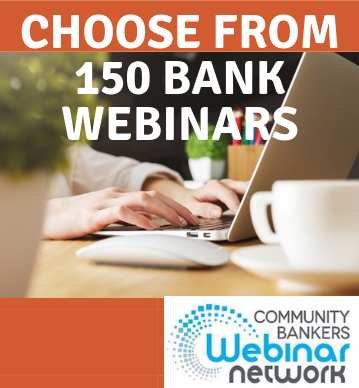 Member banks get reduced, member pricing for webinars that is not offered to non-members. Our educational resources are cost effective and convenient with telephone/webcast programs as well as live, hands-on seminars. Industry experts teach all seminars and they are located throughout the state. CBA of Kansas offers targeted networking events for members to strengthen relationships and knowledge on a peer-to-peer level. 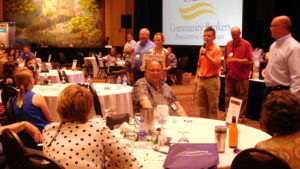 Specific committees across the organization mean members have the opportunity to work hands-on for the issues that impact community banks’ stability and gain personal leadership skills.